Didier Reynders, Deputy Prime Minister, Minister for Foreign Affairs and Defence of the Kingdom of Belgium, and Etienne Schneider, Deputy Prime Minister and Minister of the Economy of the Grand Duchy of Luxembourg, signed a joint declaration at the Palais d'Egmont in Brussels on 23 January 2019 in which the two countries commit to collaborate on the development of an international framework for the exploration and utilisation of space resources. Due to technological developments and the arrival of new players, there is growing political and commercial interest in the use and exploitation of space resources. 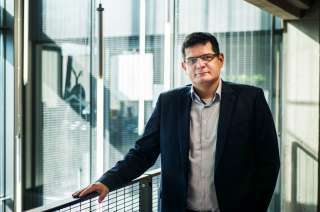 In the initial stages, the exploitation of space resources is set to involve the moon and near-earth asteroids. These contain many resources that could be exploited, such as water, aluminium, cobalt, iron and manganese. Water is particularly useful as it can be used directly by humans, as well as a propellant for future space missions. 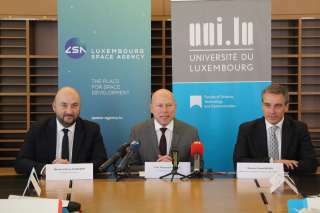 Luxembourg is a pioneer in the exploration and utilization of space resources through its SpaceResources.lu initiative. The Grand Duchy offers a legal framework recognising that space resources can be used and establishing a process for the authorisation and supervision of corresponding activities. Belgium also has a long tradition of legal, technical and economic expertise in the space sector. Belgium has signed five United Nations space treaties including the 1979 Agreement governing the Activities of States on the Moon and Other Celestial Bodies. Belgium, Luxembourg and other European and non-European States are working within the scope of UNCOPUOS (UN Committee on the Peaceful Uses of Outer Space) to develop an international framework for the exploitation of space resources. Sharing the view that the promotion of private investment in the promising sector of the exploration and use of space resources require the development of such a framework, the declaration signed today is formalising the intention of both countries to bring this about. Belgium is contributing actively to ongoing discussions within the United Nations on the elaboration of a common legal framework for the exploration, use and exploitation of space resources. 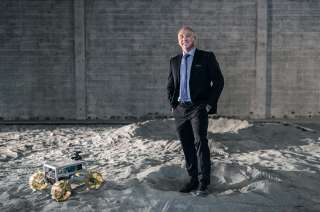 The space economy is growing rapidly, and it is important to start working now on international rules to allow the full and orderly development of the huge potential this sector offers. In line with our strong support for multilateralism, we favour an approach which reconciles individual rights with the collective interest of mankind. We are pleased to join hands today with Luxembourg in this endeavour. I am very pleased with the enhanced cooperation between Belgium and Luxembourg which will enable us to identify and discuss our common interests in the exploration and use of space resources. Following China, Japan, the United Arab Emirates, the Czech Republic, Portugal and Poland, our neighboring country, Belgium, is the seventh country with which Luxembourg will cooperate in the field of ​​space resources. The Grand Duchy is firmly committed to supporting the competitiveness of the commercial space industry in Europe. Together with our partners, we want to further develop knowledge and skills, while encouraging investment, particularly from the private sector, to develop and implement technological, operational and financial solutions.